“O my Lord, Your Holy Name bestows auspiciousness upon all. And You have unlimited names such as Krishna and Govinda by which You reveal Yourself. In Your many Holy Names You have kindly invested all Your transcendental potency. And in chanting these names, there are no strict rules concerning time or place. Sri Chaitanya Mahaprabhu has given us great hope in the first verse of His Siksastakam or eight precepts. He explains that the chanting of the Holy Name of Krishna, when properly undertaken, may progress step by step, revealing seven consequences. The first effect is the cleansing of consciousness; the second is liberation from all mundane relativity. 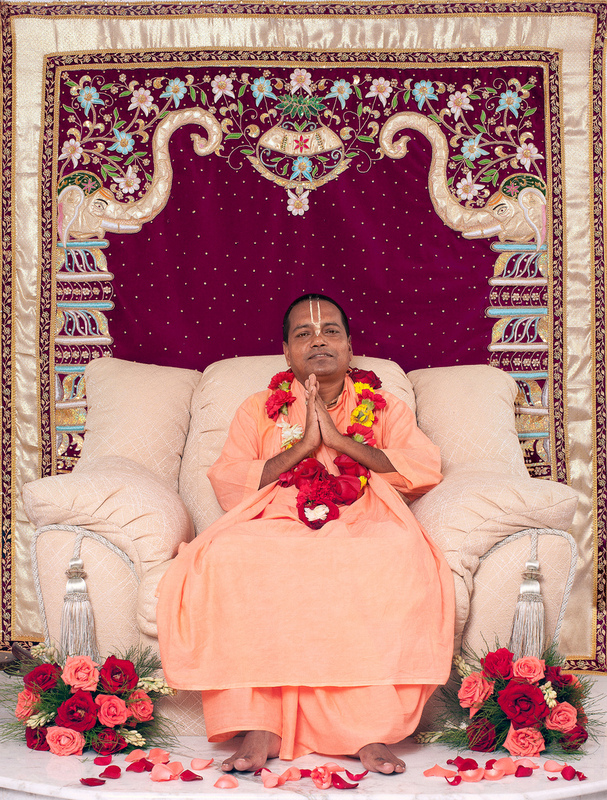 As the third effect, positive goodness awakens within our heart and takes us to Vrndavana. Then, under the guidance of svarupa-sakti, the Lord’s internal energy yogamaya, we come to the vadhu conception: we are potency, we are to serve Krishna unconditionally. Vadhu means that rasa which gives full connection with the Lord (madhurya rasa). After attaining that stage, what are the other consequences that come? One becomes a particle in the ocean of joy, and that joy is not stale or static, but ever-new and dynamic; it is purifying to the utmost. Although we are allowed to keep our individual conception, still we feel that all parts of our existence become purified to the utmost when we take the name. And this will not only affect me, but all who are connected with this nama-sankirttana. They will experience mass conversion, mass purification, the utmost purification. These are the sevenfold results of chanting the Holy Name. After mentioning this thesis in His first verse, Mahaprabhu now gives the antithesis in the second verse. When such great hope is there in the Holy Name, why are we having so much trouble? Where is the difficulty? Why do we not realize the advantage of the magnanimous sanction of divinity found in the Holy Name? Inestimable grace is coming from Krishna’s side. He has given us so many opportunities, with the least requirement from our side. We must have some taste, some earnestness to accept the Holy Name; bu there’s the difficulty-we have none. So what hope can we have? How can we attain it? We may be approaching the Holy Name formally, but not from the core of our hearts, so by what process can we really benefit and make progress? The third verse answers this question. 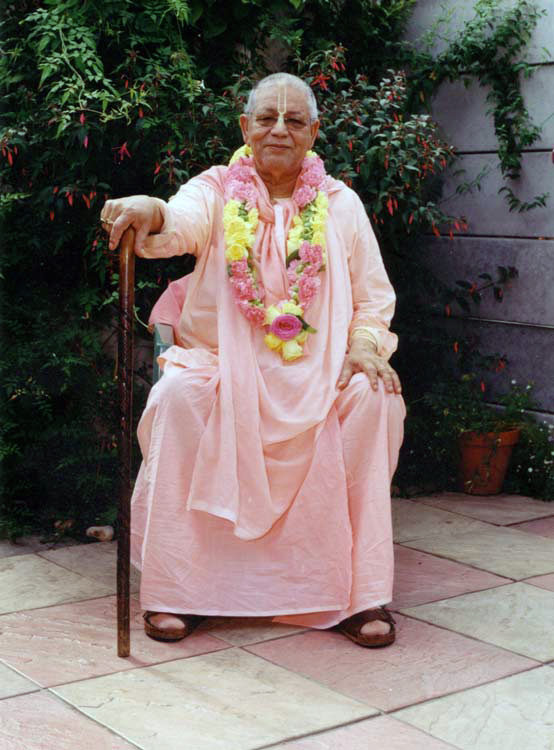 A devotee feels within his heart that he is not only unfit but too despicable for the Lord’s service. 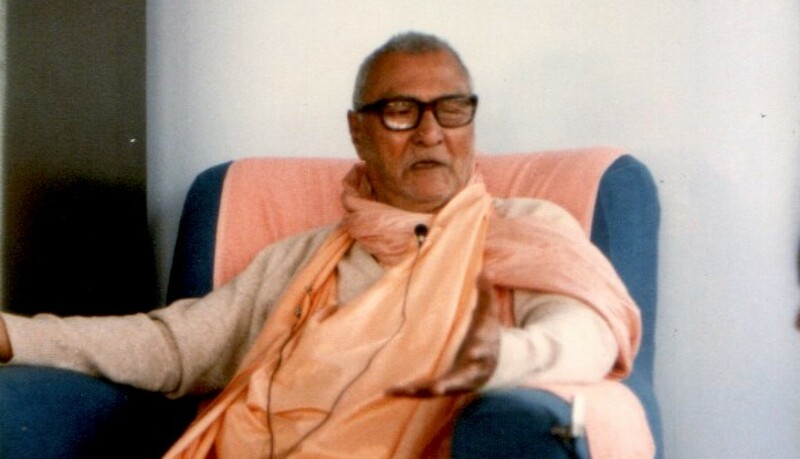 Krishnadasa Kaviraja Goswami says: “I am lower than a worm in stool and more sinful than Jagai and Madhai (jagai madhai haite muni se papistha purisera kita haite muni se laghistha).” We should not be discouraged when we think we have not even the least bit of merit which is required for the service of the Holy Name of Krishna, for this kind of consciousness is natural for a devotee. At the same time, we must guard ourselves from an insincere conception of our own devotion; this is our enemy. To think, “I do not have the least liking or taste for the Lord.” is all right. But to think, “I have some taste, some earnestness, some devotion for the Lord,” is dangerous. If we are going to have a connection with the infinite, we must be fully empty; our self-abnegation must be complete. Worldly attainment is a negative thing, and we must withdraw from it completely. We should think, “I am nothing; I have no qualifications for being accepted or used in the service of the Lord. I am completely unfit.” We must completely withdraw from the egoistic world and allow ourselves to be captured by yogamaya, the Lord’s internal energy. A slave has no position; the whole position is with the master. Everything is His. Realising this is our real qualification. As soon as we assert that we have some qualifications, our difficulties begin. So Sri Chaitanya Mahaprabhu Himself says, “I don’t find a trace of love of Krishna within my heart (na prema gandho ‘sti darapi me harau).” This is the standard of humility. And that feeling must be sincere; it must not be an imitation. We must be careful. 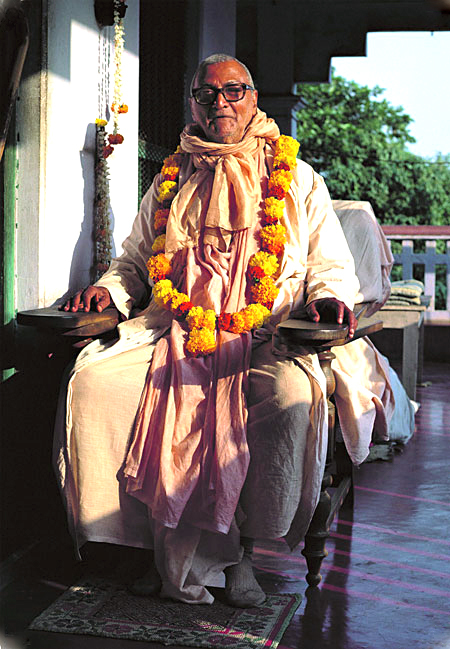 We must not venture to imitate the highest devotees. To genuinely feel, to conceive that we possess nothing and that everything is His—that is the only qualification for chanting the Holy Name of Krishna.